Got some good Volvo parts and saw some interesting cars, like the above turbo, manual Baja. What I wouldn’t give to have that as my “truck”. I picked up a friend who also wanted to look for parts. 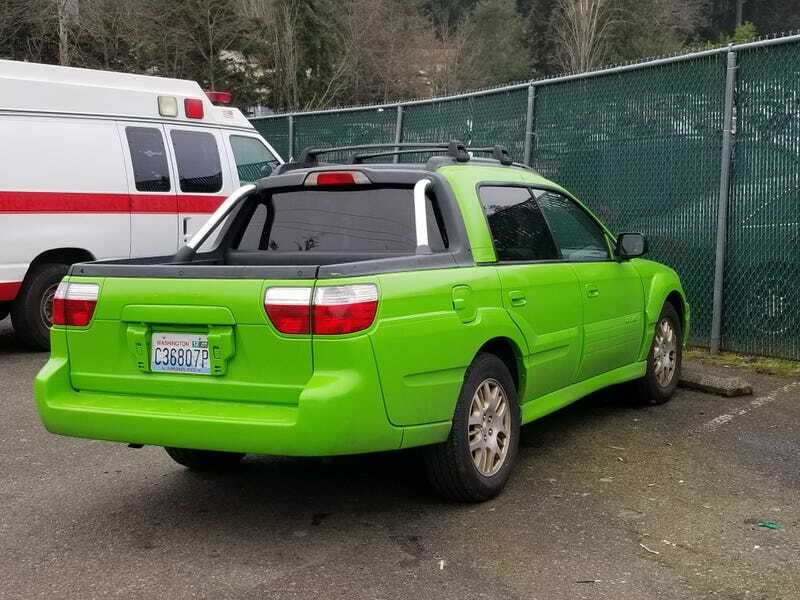 He’s got two 4runners, a manual Legacy Outback beater wagon, and is in search of an SC300/400. One of us. Of course, I had to check out the parking situation at his apartment. I hear you guys like Broncos, no? Clean. There was a RHD Toyota Soarer parked across from it. At first I thought it was a beater, but on second thought.... Might just need a good cleaning up. How often do you see a yellow IS300? Below you’ll see the booster seat that’s built into the fold-out armrest in certain 850/V70 Volvos. Pretty neat. There’s also the foldout armrest I have, which is just a super plush leather cushion, there’s a less plush version with a slide-out cup holder tray, and there’s yet another version with a pass through to the back. There may be more! My friend got in the habit of checking each rear seat to see what that particular Volvo was optioned with. I think he’s one bad decision away from joining the Volvo life. I picked up a new rheostat to keep in the car as a backup. When they fail, every interior light shuts off,so you can’t see your speed, rpm, gas, level, etc. Mine was starting to die but seems to have fixed itself? It’s a 2 second swap so if it starts flickering again I’ve got a backup that (hopefully) works. I also grabbed this driving mode switch. It fills the blank next to my shifter, which has been bugging me. I don’t think it will actually do anything, but I’d rather have aa useless switch than a blank. Worst case I’ve got a super tactile switch and button to fidget with! I still have one blank switch on the dash, but I’m unsure of what it’s for... Maybe headlight washers? I was looking for a hood latch, but they’d all been taken. I also had zero luck finding a wing for the wagon. I did however find a decent pair of fold-out jumpseats in my interior color. My friend and I took them out, along with all the accompanying peices, and at the last minute I decided I didn’t want to buy them. Knowing me, they’d sit in my living room for 5 months before I’d even think about installing them. They’re cool, but I need my space.